It can be very embarrassing if you let your boss or your colleague catch you sleeping on the job. A cup of thick Expresso or energy booster drink probably can help you to fight against your sleepiness if you do not want to fall into this embarrassing situation. Besides these traditional ways to keep you awake, Masunaga Optical Manufacturing, a famous Japanese optical manufacturer has introduced a unique device called Wink Glasses which can serve the same purpose. Scientifically, human beings tend to blink averaging about 10 to 12 times per minute to keep tears spread across and remove irritants from the surface of the cornea and conjunctiva. If we are tired, drowsy or have lost concentration, the blinking rate will turn slow as well. That’s the reason why eyes tend to be dry and fatigued after long hours at work and focusing on the computer screen or book. Working on this principle, Masunaga’s creative invention, Wink Glasses, features a sensitive sensor detector which will detect users’ blinking rate. 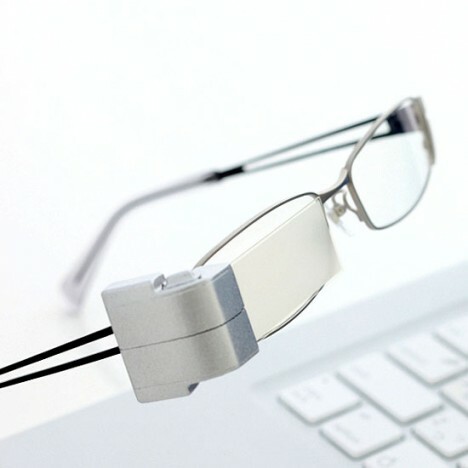 In the event users’ eyes blinking frequency drop below the average rate, the Wink Glassess will automatically fog one of its lenses and block user’s eyesight. This will somehow bring back users’ attention and focus to their work or duty. Once the blinking frequency has become regular again, the fogging process will stop. 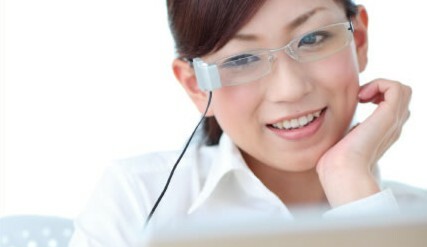 Masunaga’s Wink Glasses is rechargeable via USB connection. A full charge to the device will last for 8 hours. For $430 or 40,950 yen, users who want to give themselves a bit of pressure to finish some reading or work without comnsuming too much coffee or tea probably can try this forcing-eyes-to-open electronic device.